*Onecklace gifted the piece featured in this post, but all opinions are my own. Now that we're nearing the middle of November, it's time to start thinking more seriously about holiday gifts! For those ladies on your list that are hard to shop for, I recommend checking out the specialty jewelry at oNecklace. 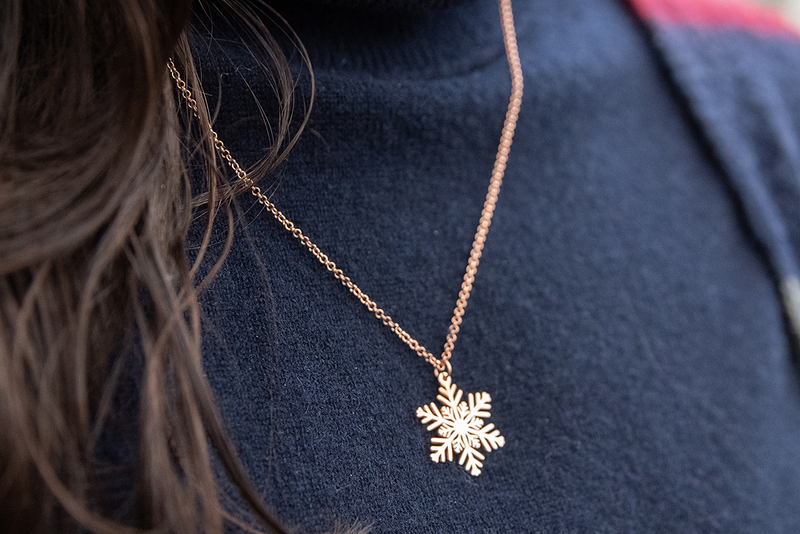 The snowflake necklace I'm wearing here is the perfect gift for someone who is particular about their jewelry and wants a more custom piece without it needing to be engraved with their name or their birthstone on it; which oNecklace also offers! 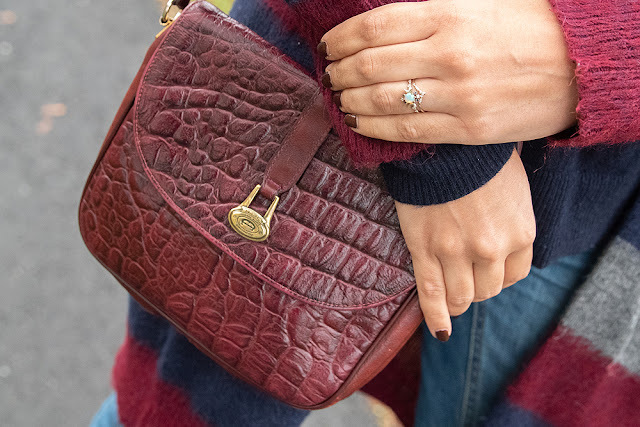 See some posts of me wearing their name and birthstone jewelry here and here. 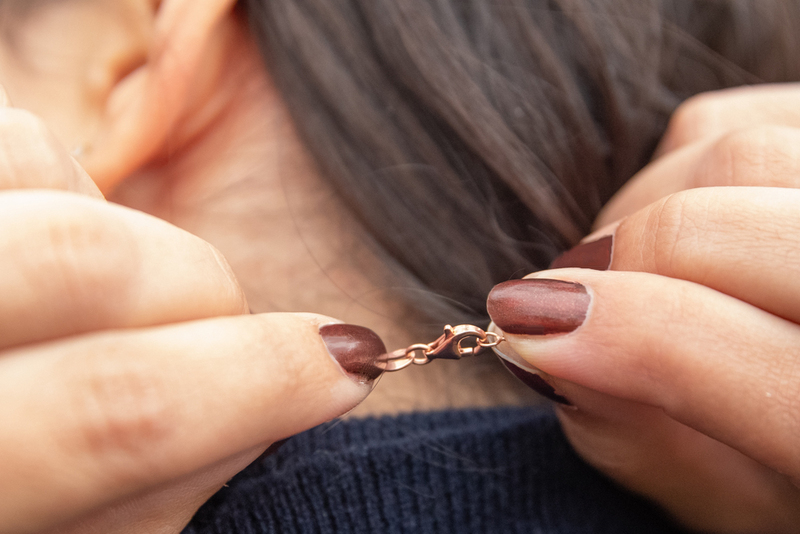 You're able to choose your metal, chain length, chain style and clasp! 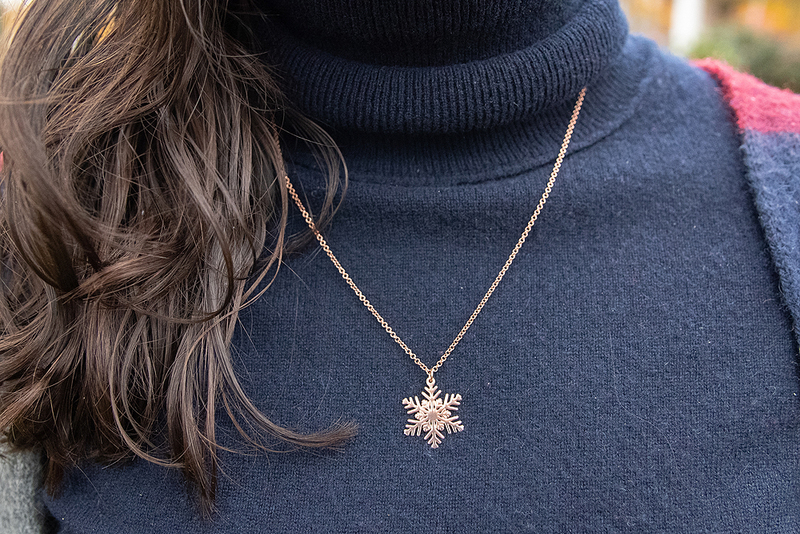 For my snowflake necklace I chose rose gold plating, 20 inch ROLO chain and a lobster clasp. I'm a huge fan of lobster clasps because they're far easier than those pesky spring clasps most necklaces come with. 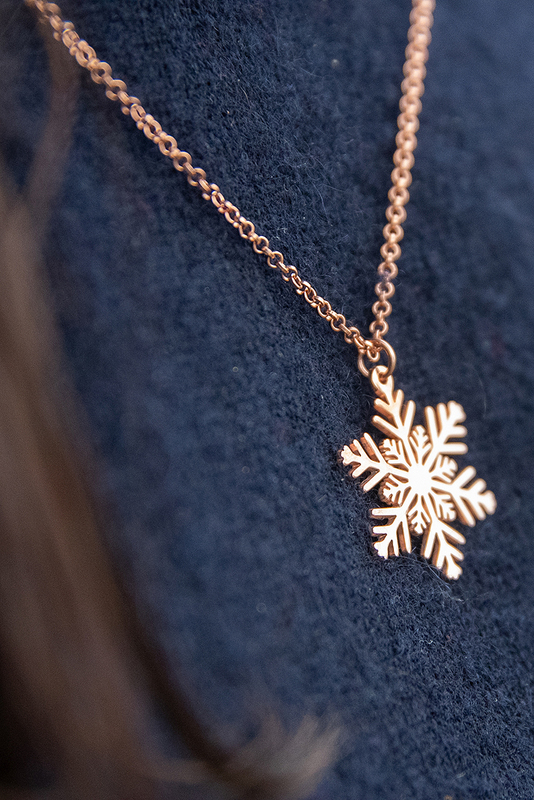 The necklace is nice and thin and I love the detailing of the snowflake's crystals. I've been blog neglecting this cardigan a bit over the last year or so. I got it in January 2015 and wore it CONSTANTLY, it became my default airplane outfit and I loved wearing it. But I guess I thought I wore it too much and stopped wearing it as much. It hasn't been on the blog since last November (in a similar outfit) but I've worn it at least a few times in the past year, I swear! That's a really great piece - I've got in my head that every year, starting now, I'd like to buy Eleanor some special piece of jewelry that she will appreciate when she's older (alongside all the toys and books she's actually interested in now) and that site seems like a great place to start. 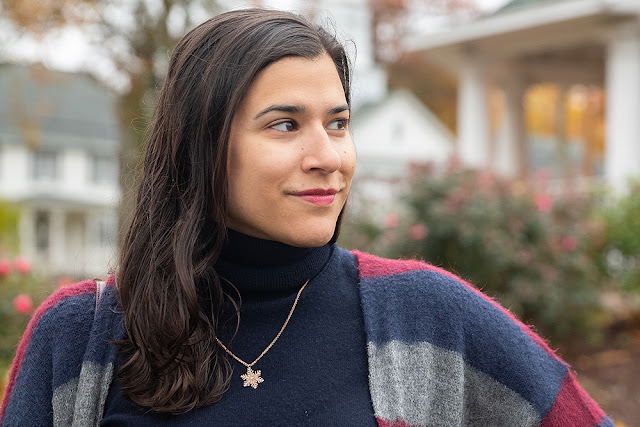 Sometimes my favorite comfy pieces don't always make it on to the blog, but I do wear them a lot! 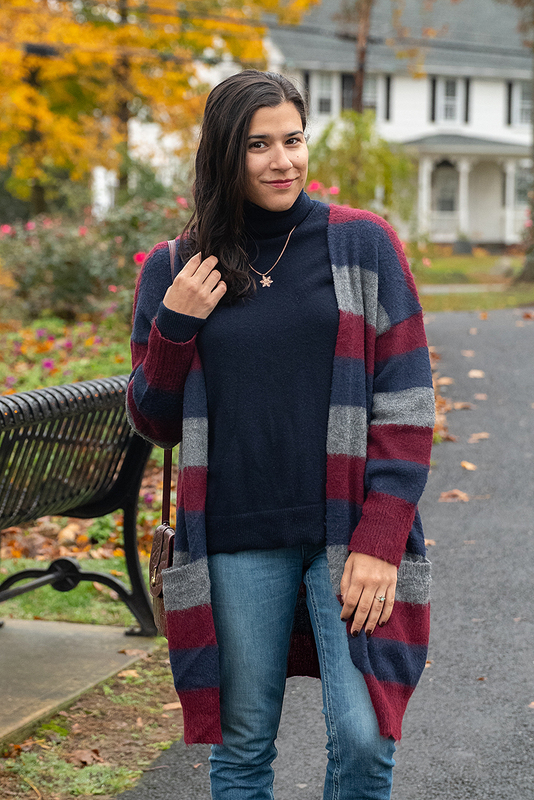 I love this cardigan, the colors are great and it looks so cozy. Gorgeous necklace! Not my style, but you rock it! I love that necklace - so delicate and darling! 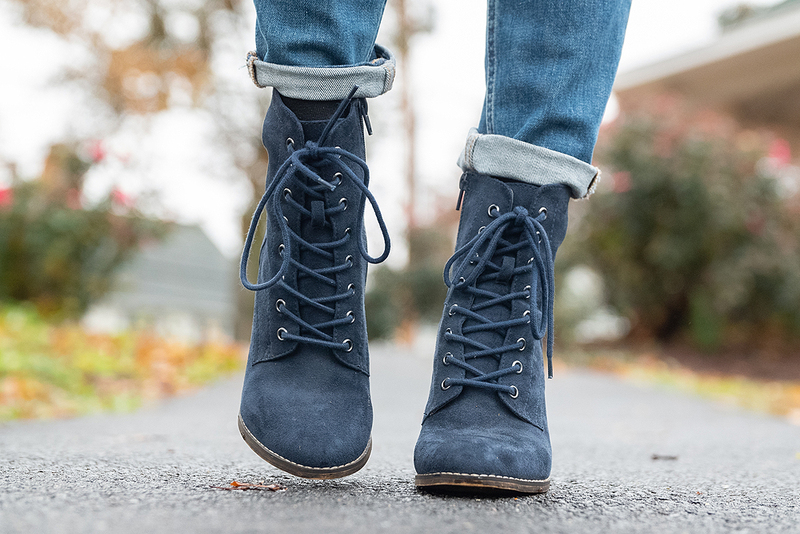 I am obsessed with those boots! So cute! That necklace is so freaking cute!! And I am in LOVE with that cardigan !! What a cute necklace! I love it in rose gold!!! Such a pretty necklace. This is a great gift for anyone - even those who don't celebrate Christmas.